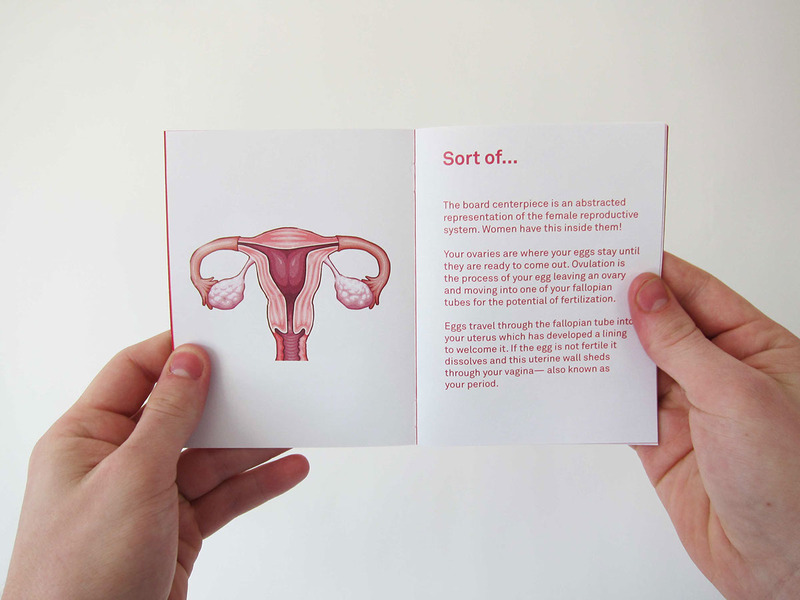 There is no standardized method for learning about your period, and as a result, many young women are unprepared and uncomfortable when the time comes. 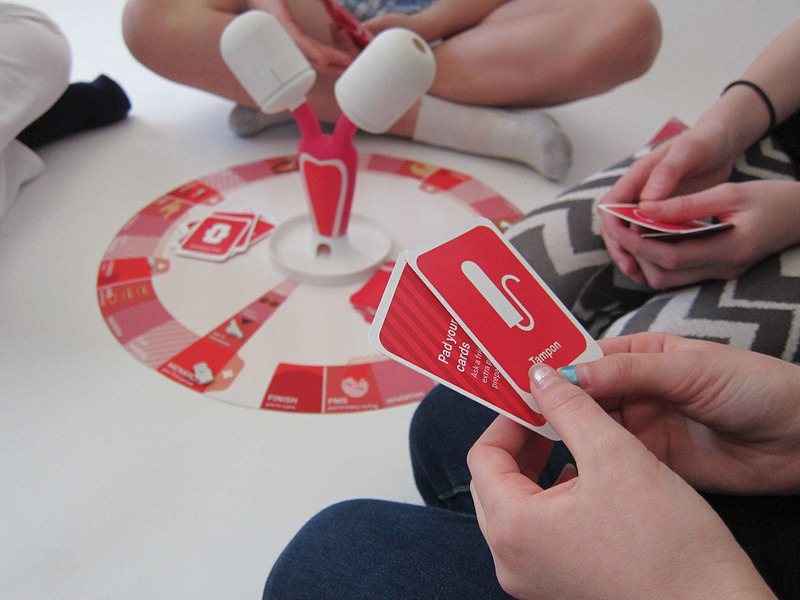 The act of playing creates an open and engaging environment where players can learn and say words like “period” and “tampon” without the usual discomfort and taboos found in society. Every turn begins with a player turning one of the two ovaries, releasing a marble into the tray below. A red marble came out? Congrats! You got your period. A clear marble? Better luck next time. ​​​​​​​Depending on where your marble takes you, play a protection card, preparation card or go to the nurse’s office. Make it around the board before anyone else to win. Either way, you’re a pro at handling your period. 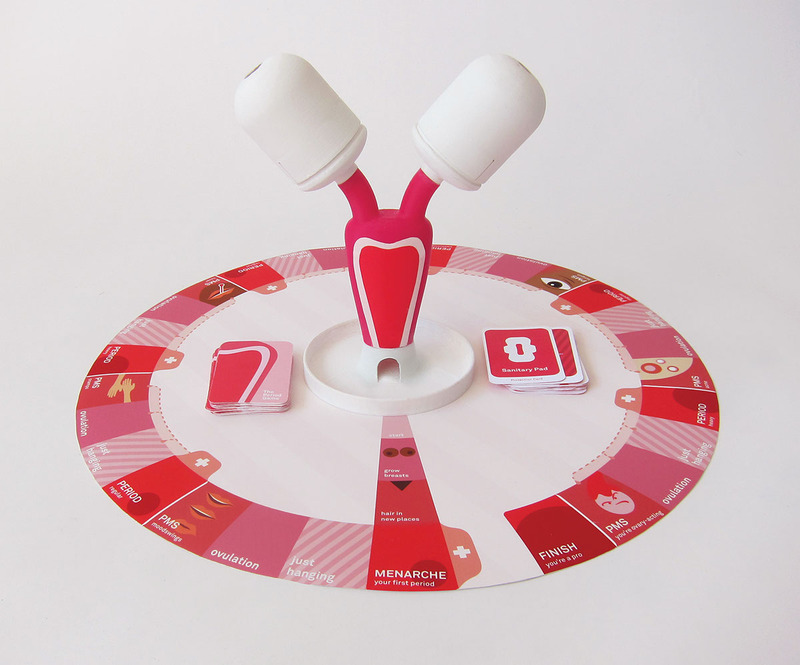 The Period Game utilizes abstracted representations of the female reproductive system, PMS symptoms, and various forms of sanitary protection to introduce players to these ideas. Players learn about gameplay and their body through two “Wait, really?” instructional packets. The first serves as game instructions, while the second is used to provide answers about how the game’s more nuanced references relate to their real life counterparts. 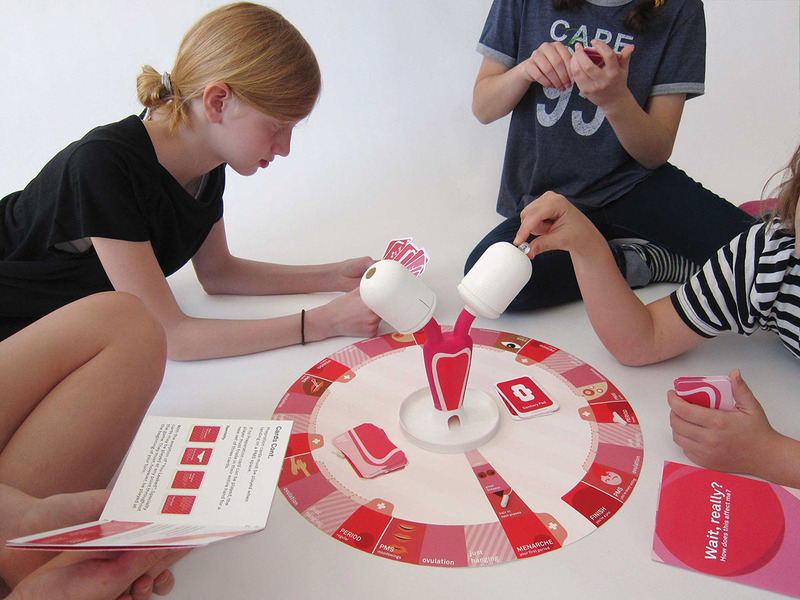 The Period Game is an ongoing project by designers Daniela Gilsanz and Ryan Murphy. 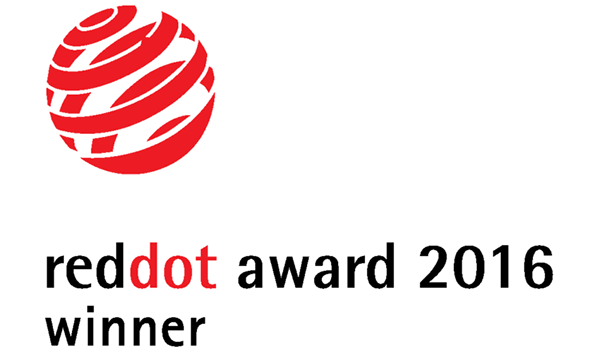 The game won the Red Dot Design award (fitting, we know) in 2016, and is now looking for partners to make it a reality. Learn more at www.periodgame.com ! Puberty is an awkward time, but that doesn’t mean it should be ignored. 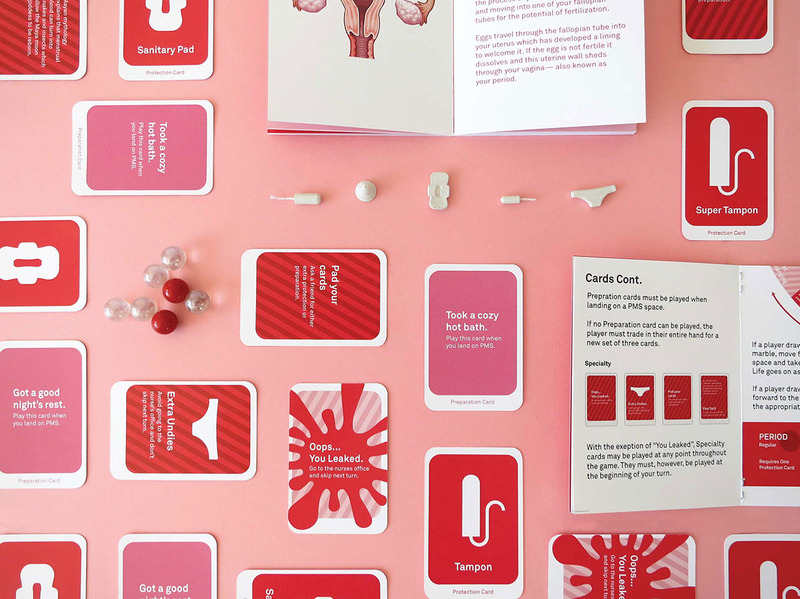 The Period Game strives to turn an uncomfortable situation into a fun, positive, learning experience.